As part of the development of FLAME’s Phase II: Circulation, we have developed a feature that displays the main mints operating during a selected time period, linking them to all the locations in which coins minted in that period were found. 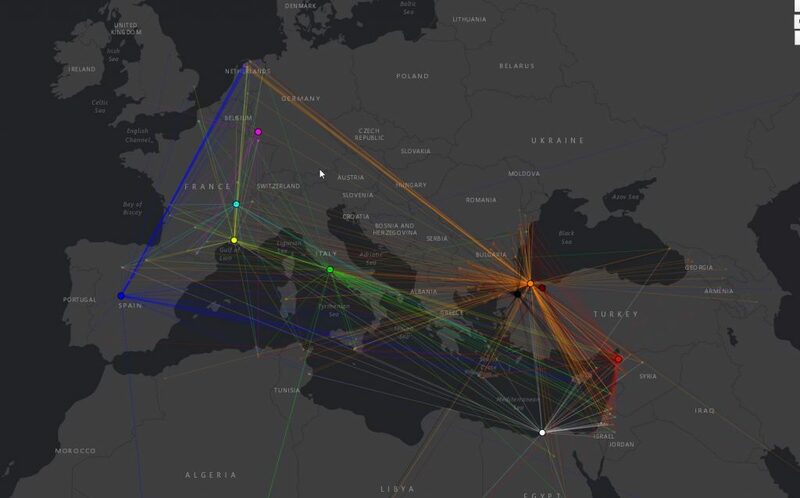 Once polished and with enough underlying data, this tool would be able to suggest how commercial, trade or movement networks operated in a given time in late antiquity. You can see an example of how this tool operates below. The colored circles represent mints, while the lines going out of them are to the locations in which coins from these mints were found.